Today in the 52 Weeks of Inspiration series, Paula is here to share with us her tips on getting started on a healthier lifestyle journey. Don't wait! Just get up and move! I have loved sharing inspirational stories with you from some of my favorite people on the internet. 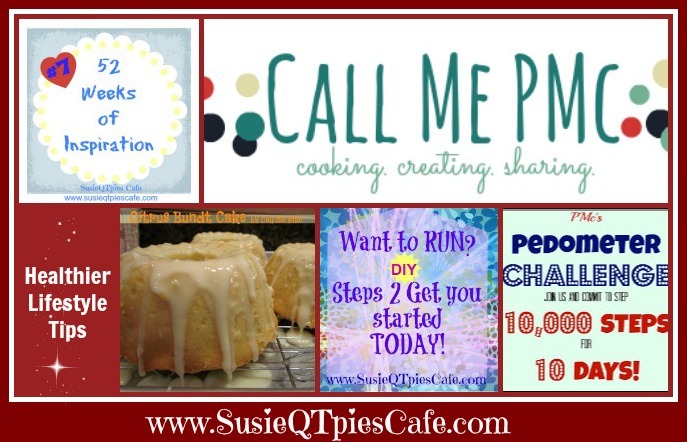 This week, Paula or PMc from Call Me PMc (PMc is what her friends call her) is here to share what keeps her healthy. I met PMc via her blog a few months ago. As soon as I met her I was inspired by all of her positive energy. I asked her right away if I could feature her in my 52 Weeks of Inspiration series. She gracefully accepted like any sweet Ole Miss gal would! Enjoy her interview today and I hope that you get inspired, too. Since you've been a runner for almost your entire life, do you struggle with weigh issues or food issue? No, I've played sports since I was 9. I literally started running to stay in shape for basketball and track. It as much for mental sanity as physical fitness. It's my 'me' time. I, also, tend to eat healthier when I run too. You can't eat bad and expect good runs. I have always been conscious of what I eat and have literally always exercised, even through 2 pregnancies. Part of the reason is I have hypothyroidism, an under-active thyroid. Most people with this condition tend to gain weight easily and/or be overweight. I was diagnosed at 12 and have just been aware of a healthy lifestyle from an early age. What is your favorite part of your healthier lifestyle journey? I love how strong, physically and mentally, eating right and exercising makes me feel. If I ever start eating too much like around the holidays or on vacation, I will log my calories on MyFitnessPal.com. It's a great tool whether you're trying to lose or just maintain. How do you encourage others to take on a healthier lifestyle? 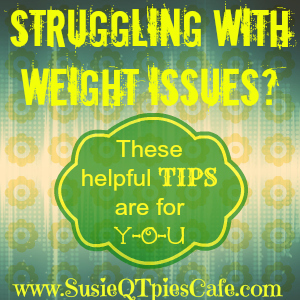 Please share some tips for those who are struggling with weight issues. Don't say 'diet' and don't say 'I'm not going to eat desserts anymore, ever! Because when you do break down and eat one, you'll feel discouraged and give up. 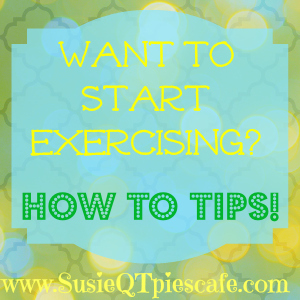 Share a few tips on what exercise people should start with? 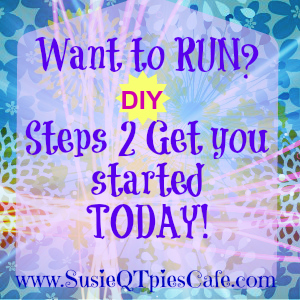 Since you are a runner and I'm a runner-wanna-be, please share a few tips on how to get started running. Start slowly and don't over do it. When I started running again after my pregnancies, I would walk half a mile to get warmed up. Then run 30 seconds, walk 30 seconds. Run 30 seconds. And when I say run I mean jog! The first week do this for 10 minutes, add 5 minutes each week until you're at 30 minutes at walk/jog. At 30 minutes start running 45 seconds and walking 15 seconds. Do that a couple of weeks then set your goal to run the entire 30 minutes. Don't worry about being fast, the goal is just to run the whole distance. #2- Listen to your body. When I was training for the Half Marathon, if I was scheduled to run 6 miles and I just didn't feel like it I would run what I felt like, but I'd make myself get out the door. You'd be amazed that getting out that door is sometimes the biggest obstacle, once you're moving you'll start loving it. What do you like to do for FUN? Share something about your family. I LOVE being with my boys, Lincoln is 10 and Ryder is 8. My husband, Wesley, is a foodie and we like grilling with the boys. I have had them in the kitchen since they could stand. We like to make cookies together most of all, but they're really helpful now at anything I ask. Lincoln is a super picky eater and we figured out if he makes (or helps) with a dish that he'll more likely try it. We also play boardgames one night a week and turn off the TV, it's good quality time! Basically, doing anything with them is fun, I enjoy teaching them new things and traveling and showing them new places. I am inspired by the most random people. I'm inspired by successful women who have careers and families and still volunteer their time, keep house, provide warm meals and tutoring, chauffeuring, and party planning services for their families who only want a hug and kiss and a 'Mommie, I love you' at the end of a long day. I'm inspired by athletes who train their whole lives for an opportunity for an Olympic medal. I'm inspired my ordinary athletes who push themselves to be better. I'm inspired by positive people who never say 'never' and don't let excuses stop them. My very favorite thing to make is Pound cakes. I baked when I'm stressed, I can lose myself in a recipe, but I also bake for fun. I just enjoy creating desserts. 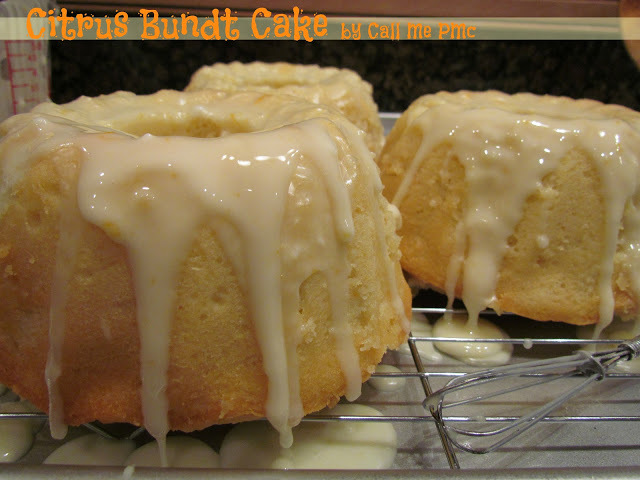 One of my favorites is this Citrus Bundt Cake, there's a funny little story about it. My son Ryder helped me make it. Last but surely not least.... Hobby? Crafts? Etc? I love to garden and plant beautiful flowers and container gardens. I grew up on a farm; working in the garden was my Summer job. I haven't raised a full garden since I got married. We've had a couple strawberry, squash and tomato plants and that's about it. It's one of my goals this year to plant more vegetables that the boys and I can harvest. I think they'll try vegetables more if they go through the process of planting and nurturing them. We'll see! I also volunteer with the local Junior Auxiliary. Our mission is to help the children of our city and county. We provide clothes, Thanksgiving dinners, school aid, CPR class to high school students, scholarships, Summer camps for girls and another for boys that otherwise wouldn't get to participate in any type camp. It's a time-consuming commitment, but so rewarding. So have you been inspired by PMc? Stop over and follower on all of her Social Media hang outs -Bloglovin, Pinterest, Facebook, and Twitter. Such a realistic and do-able approach to exercise - as someone who has struggled to be a 'runner' I really appreciate your approach! Great interview! Lots of good tips! I have never been a runner but I do love to exercise! What a great interview! This is really great!